A while ago, my mom made something for me for lunch, and I had no idea what it was called. She told me it’s called “Gazpacho”, and I thought, how did I never know about Gazpacho before now?!? It’s a cold, vegetable-based soup with history mostly in Spain and Portugal. I’ve seen a couple of recipes, and my mom’s recipe, and I’ve got it down to an art now (I think!). It’s so delicious and very nutritious! You can add/delete items as you so wish – it’s so versatile! Keep in mind that my measurements are approximate as I generally don’t measure! Also try to use organic ingredients as much as possible, to keep it as healthy as possible. Add ingredients in this order to a food processor and pulse several times. You don’t want to liquify it, you want it to be chunky with just a little broth. 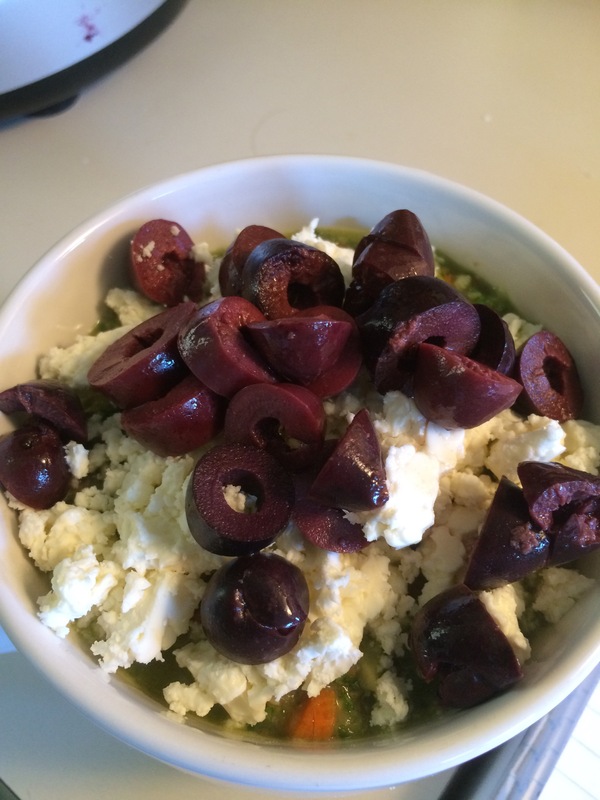 Chop up some kalamata olives and crumble some feta cheese. 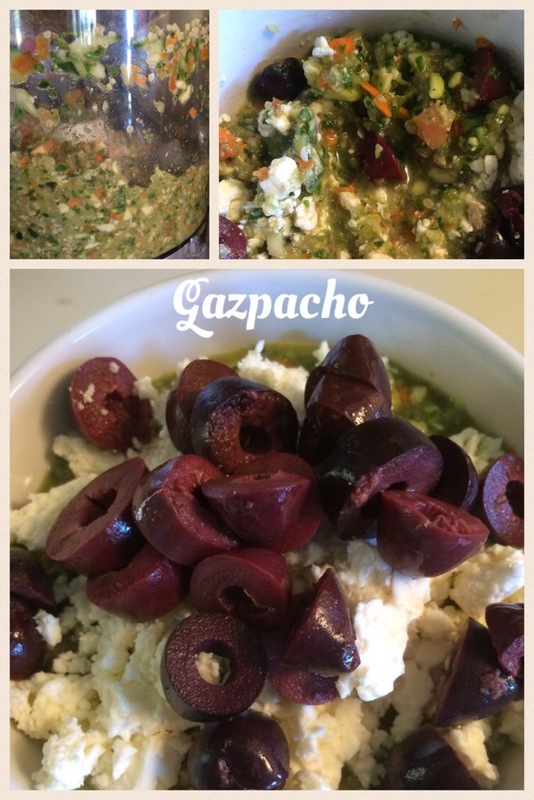 Spoon the Gazpacho into bowls and top with the cheese and olives.